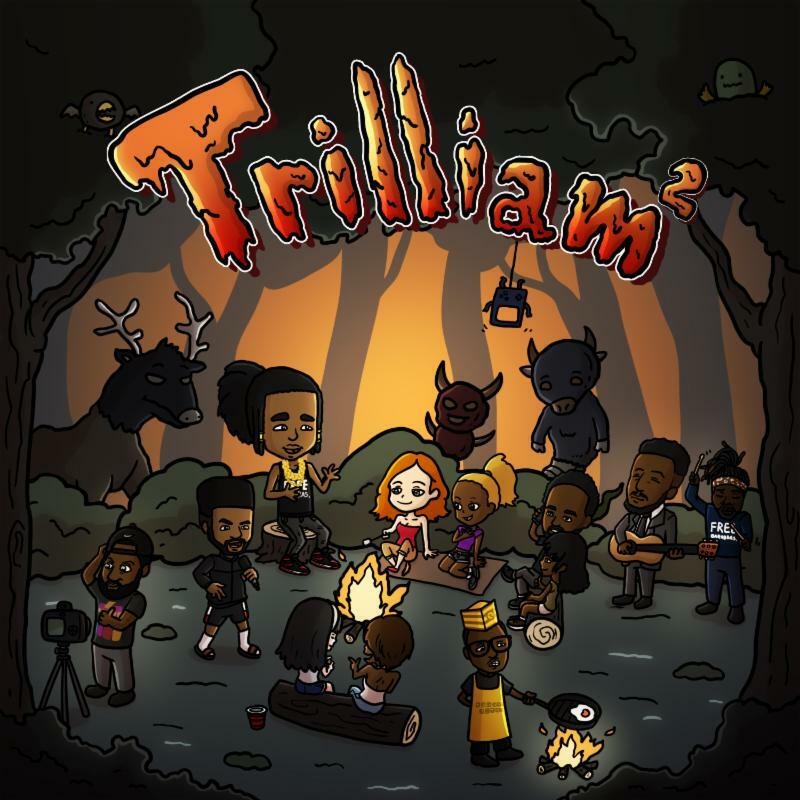 (Reach Records; Atlanta, GA; June 9, 2017) – Today rapper, producer and singer-songwriter, Aha Gazelle, releases his debut Reach Records’ project entitled Trilliam 2. Self-written and self-produced entirely by Aha Gazelle, the 8-track mixtape is now available for purchase and streaming across all DSPs here: http://smarturl.it/trilliam2. As a follow up to the lead single, “Momma House,” which immediately spiraled into Spotify’s US Viral Top 50 chart upon release, Aha Gazelle recently shared the sonically stark yet celebratory new single “Keep It In The Family.” An ode to his immediate and extended family, on the track, he raps about the importance of keeping a tight circle around him at all times. Raised in New Orleans, one of America’s most vibrant musical cities, Aha Gazelle grew up admiring the wide range of acts native to his Louisiana hometown including PJ Morton, Jay Electronica, Frank Ocean and Lil Wayne, among others. The city’s diversity significantly shaped him into the artist he is today — an amalgamation of authenticity, artistry, savviness and flash, Aha describes his distinctive sound as being “manicured, but but not manufactured.” Once Free Barabbas (2015) and Trilliam (2016) arrived while attending school at the historical Grambling State University, Aha’s buzz started to grow organically garnering more than 1M collective streams and landing him a recording contract with Reach Records. For more information and to stay up to date with Aha Gazelle, visit AhaGazelle.com and follow @AhaGazelle on Twitter, Instagram, Facebook and YouTube.